The Studio City casino resort (pictured) in Macau’s Cotai district will end “VIP rolling chip operations” with effect from January 2020, its main promoter, casino firm Melco Resorts and Entertainment Ltd, said in a Tuesday filing to Nasdaq in the United States. The filing did not clarify if the cessation would affect all VIP operations at the property, namely in-house VIP play and VIP play offered via external junket partners. Melco Resorts (Macau) is a subsidiary of Melco Resorts. Melco Resorts did not specify reasons for the decision. A filing to the Hong Kong Stock Exchange on Tuesday from Melco Resorts’ parent, Melco International Development Ltd also do not address the rationale. The latter was a reference to a new five-star hotel tower which opened in June with a reported focus on so-called premium-mass play – and without being granted any new-to-market gaming table allocation by the Macau government – at Melco Resorts’ wholly-owned property City of Dreams Macau. 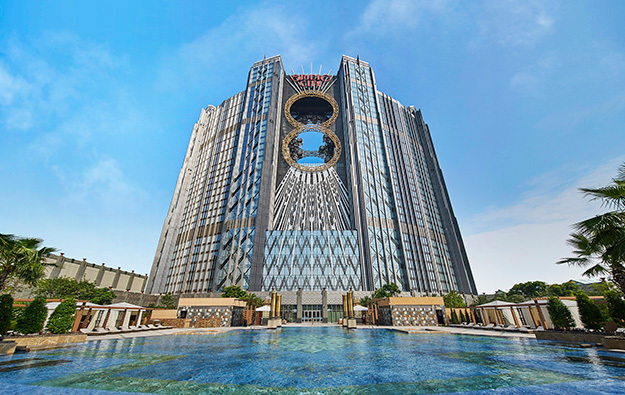 “Shifting 30 higher-margin tables to mass and 15 higher-volume tables to VIP,” could help increase Melco Resorts’ EBITDA “by US$20 million to US$30 million,” wrote analysts Harry Curtis, Daniel Adam and Brian Dobson. “Further, Melco [Resorts] will retain 100 percent of the EBITDA on the 45 tables. Today it is obliged to allocate 46 percent of the profits to its minority partners” at Studio City, the brokerage added. That was a reference to the complex ownership structure of Studio City, which involves minority equity partners. Nomura also offered commentary on the timetable for ending rolling chip operations at Studio City. “Melco [Resorts] must give 12 months’ notice to its minority partners before the tables can be moved in January 2020. This strategy is timely and should be effective. We think it could add at least US$1 per American depository share [in] value to this already-undervalued stock within a year,” said the institution in its memo. A number of junket firms in the Macau market had recently told GGRAsia that Studio City was of limited appeal to their VIP customers due in part to its lack of five-star accommodation. Its shopping mall by contrast is mostly filled with the sort of Western high-end clothing and watch and jewellery brands normally favoured by China’s rich. Studio City also has a one-star Michelin restaurant, Pearl Dragon, which offers Cantonese cuisine. Several brokerages are currently predicting there will be slowing in Macau gross gaming revenue (GGR) performance in the first half of this year, including a likely year-on-year contraction in January that will affect VIP at a higher rate of decline than in the mass-market segment. The history of VIP play at Studio City is a mixed bag. When the property opened in October 2015, it had no VIP play. At the time, Lawrence Ho Yau Lung – then co-chairman as well as chief executive of what was then Melco Crown Entertainment Ltd – said that was a “business decision” related to the number of new-to-market live dealer tables allowed at the property by the Macau government. The Macau government wants to see more non-gaming elements in Macau’s tourism market and casino industry. In August 2016, the casino operator stated it planned to add VIP play to the gaming at Studio City. The announcement followed some commentary from investment analysts about a slow ramp up in Studio City’s gaming business. It was later announced that VIP operations were starting in early November that year.